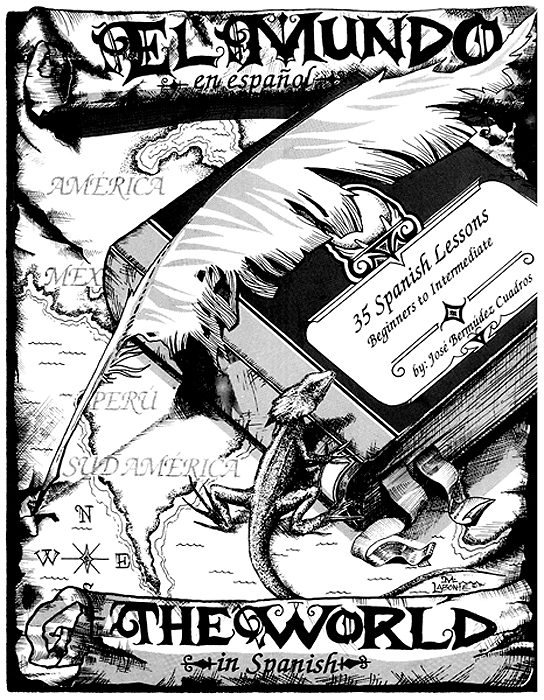 El Mundo is designed for beginner and intermediate students of the Spanish language. Its main objective is to encourage the student to gradually develop the four basic language skills: listening, speaking, reading and writing while learning the grammar and vocabulary presented in each lesson. The book consists of thirty-five lessons, most of them divided into three or four parts: vocabulary, useful expressions, grammatical explanations and exercises. The book is written in both English and Spanish. As an aid to the student, the two versions are written in different fonts. As the lessons advance, the English explanations are gradually phased out in order for the student to rely on the Spanish already learned. This book has an optional lesson-by-lesson AUDIO CD format that is an excellent accompaniment for students wanting to improve listening skills and pronunciation. The CD features native Spanish speakers from a number of Spanish speaking countries, which helps students become familiar with regional variations in pronunciation.